I used REG or DMK .... They were both a reference from the cult film "Night of the Comet" .... great movie by the way. The main star of the film used REG .. short for Regina whenever she scored in Tempest. DMK was the initials she saw mixed in with her high score and she freaked out ... so i use it when I see a lot of one persons initals in a game ..
RLS (initials) and ROD (short for Rodney) - usually a toss up between the two. That's pretty badass. The movie was slightly after my time at the arcades, but Tempest is my all time #1 favorite arcade game. 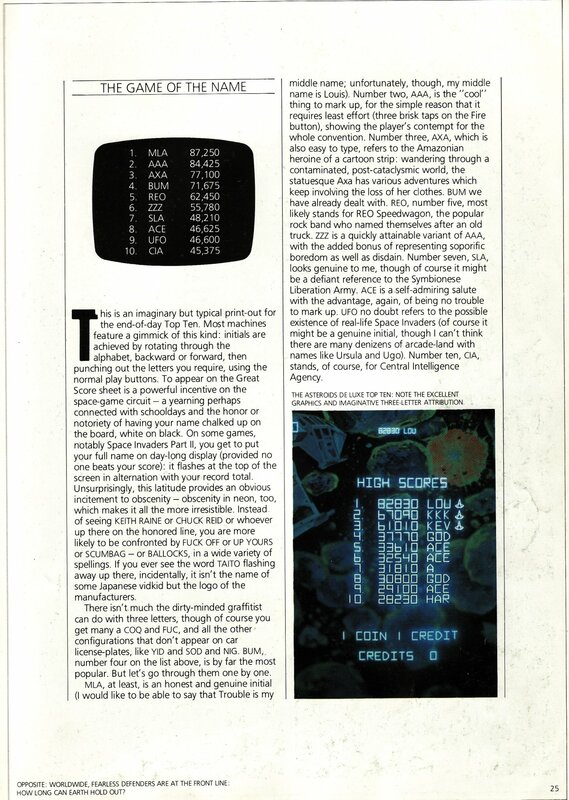 Entered that into Asteroids a few times. I always used BAG even though that isn't my initials.....just liked the looks of it. Edited by Shawn Sr., Tue Sep 9, 2008 6:47 AM. Paint a picture on a subway train. Carve my name in a video game..
That's great, NE. Pretty much sums it up. What's that from? there were only one Maxime in my town so when I had the chance to get a HS, I wanted to let everybody know !!! Edited by slampam, Thu Sep 18, 2008 10:37 PM. I always used SAL which is short for my first name, Sal. When I was a kid, GED. Whimsical reference to Ursula K LeGuin. Nowadays it's RST, from Rusty, my nickname in certain circles. Which is why I'm also a great fan of the "consecutive letters" input method, not the tedious go-back-to-A, which some (most?) games employ. 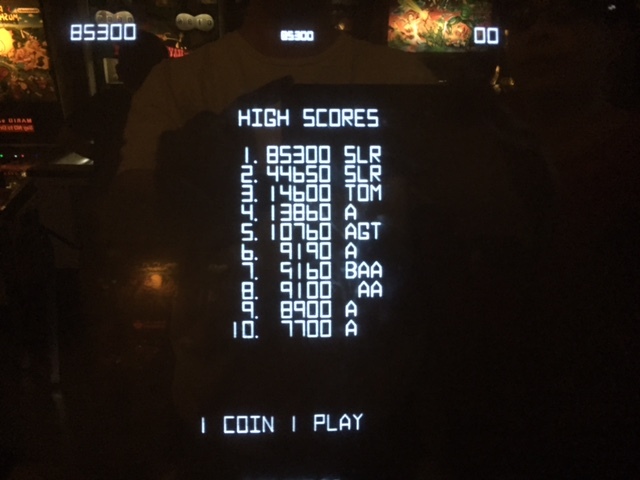 -sometimes an uber-cool "arcader" would get a high score, but not high enough for his standards and would simply walk away without signing in, leaving it for us little brats to fight over. RJG. Now on my home machines it's DAD. I owned a copy of that - I can even remember that particular piece of text. Back in the day I used my initials DBK. I use DAV now. I enter AAA if it isn't a top score on my own machines. Edited by davyK, Fri May 25, 2018 12:08 PM.